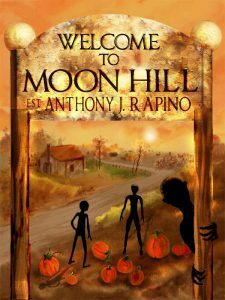 As part of the third installment of Milo Fowler’s brainchild, Creepy Freebies, I am giving away my short story collection WELCOME TO MOON HILL for free for the next four days! As you might know, my brand spanking new audio book, REALITY ENGINEERS, also takes place in the Moon Hill universe, so now’s your chance to snag the introduction to Moon Hill for FREE! Then pre-order REALITY ENGINEERS and also get yourself a free bonus goody that will be mailed out this month. First Up: Ellie Garratt is offering her short story collection Passing Time, free via Smashwords for a limited time. Next: Jeff Chapman is giving away his story “Soul Thief” on Smashwords (code: FP28J) and raffling off 3 Kindle copies of The Midnight Diner 4: Wastelands Under the Sun, which includes his riveting story “Morphine and Chocolate.” Enter to win here. Then: Lyndon Perry is raffling off copies of his thriller collection Last Gasp. Aren’t you glad you stopped by? Be sure to tell all your friends and neighbors about Creepy Freebies — every Friday this month!